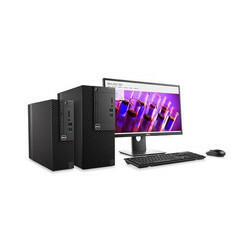 Dimensions H 13.8"x W 6.1" x D 10.8"
Ultra compact business desktop with multiple mounting options to best fit your work-space. Offers world-class security and manageability features. 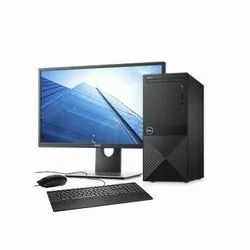 The expandable Inspiron Small Desktop has been reimagined to enhance the enjoyment that comes with owning a Dell desktop. Easy access: Optical drive, USB 3.0 Gen 1 Type-A ports and 5-in-1 media card reader are all conveniently located up front for easy accessibility. Undeniable performance with unlimited potential. With a high-capacity hard drive, the latest Intel® processors and improved system cooling, the Inspiron Small Desktop offers the PC performance you deserve. Powerful processors: Built with the latest Intel® Pentium, Intel® 8th Gen Core™ processors (up to Core i5), you can expect a proven, reliable PC experience. Superior storage: Make the most of your PC’s 2TB of hard drive storage. Get a boost: Amp up your everyday performance with faster load times, higher transfer rates and less power consumption, all thanks to the efficient DDR4 SDRAM. Innovative inlet: The state-of-the-art inlet airflow design allows optimal system cooling, so you get the quiet, efficient performance you’ve come to expect from an Inspiron desktop. Your one-stop multimedia hub. 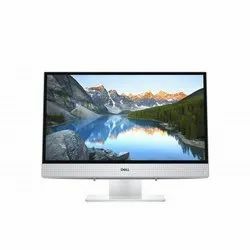 From basic computing needs to digital library and multi-media entertainment center, the Inspiron Small Desktop offers powerful and reliable performance, perfect for the living room or home office. Built-in connectivity: Stay connected with the latest integrated 802.11bgn wireless and Bluetooth technology. 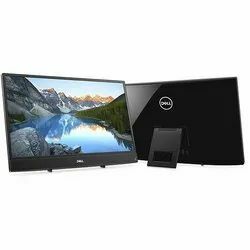 Affordable 24-inch all-in-one desktop with advanced streaming ideal for video chat. Featuring Full HD, wide-angle IPS display with pop-up webcam. 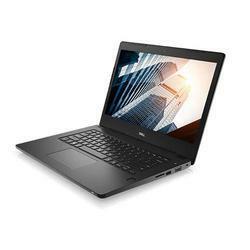 We are offering Dell Latitude Laptop to our clients. 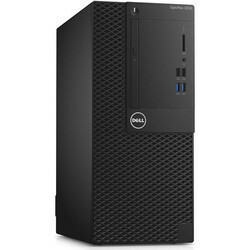 Looking for Dell Desktops ?